A 23-year-old was recently admitted at NIMHANS, Bengaluru, after he let his Netflix viewing take precedence over everything else in his life. Bengaluru: A 23-year-old man said to be under pressure from his parents to get a job has been diagnosed as India’s first patient of ‘Netflix addiction’. The unidentified man, who earlier sought an escape from stress in gaming, is undergoing treatment at the Service for Healthy Use of Technology (SHUT) Clinic at Bengaluru’s National Institute of Mental Health and Neurosciences (NIMHANS). “He is in an age group where he faced family pressure to find a good job and settle down,” said Dr Manoj Kumar Sharma, a psychiatrist at SHUT clinic. 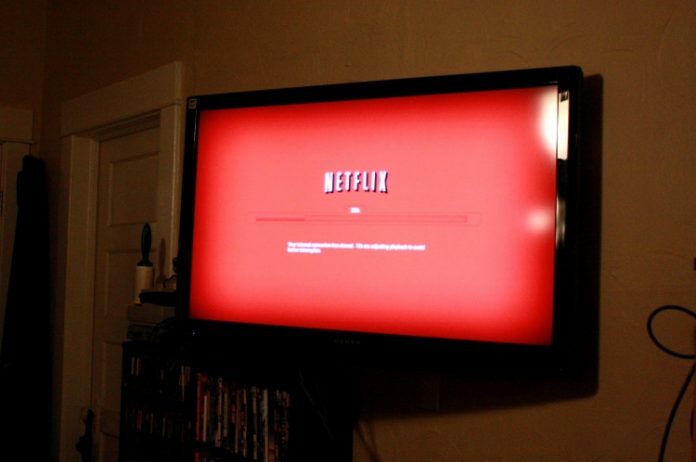 “He began watching Netflix and found solace in it. It helped him avoid the pressure that the family was putting on him,” he added. The treatment plan outlined for this patient, brought to the clinic two weeks ago, centres on a host of stress-relieving exercises. He has been asked to perform five-minute deep-breathing exercises every hour to help bring down the stress levels, with the doctors also guiding and helping him with his career, a major stress factor for him. The third part involves tackling the stress medically, with a personalised counselling session to buttress the digital detox. Addiction with streaming services can be seen in the same light as obsession with gaming, which was qualified as a disorder by the World Health Organization earlier this year. It is defined by experts as letting all aspects of one’s life take a backseat to compulsive viewing of content on streaming services. With this form of entertainment allowing one to chalk out a viewing experience of their liking — it brings access to multiple seasons of different series as well as a vast library of movies — many viewers will admit to binge-watching at one point or another. However, addiction is classified as compulsive binge-watching — when this routine of staying glued to your screens for hours on end becomes a daily affair and begins to distract you from real life. In fact, if you find yourself spending more than five to six hours on streaming services on a daily basis, experts warn, your viewing is bordering on addiction. Addiction experts say one of the major reasons people opt to endlessly watch online shows is to cut themselves off from reality. They want to find themselves in a virtual space where they do not need to resolve a “real crisis”, they added. Studies show that it mostly begins with an addiction to gaming, where a patient is unable to stop until they win a game. Patients feel pressure, experts say, to prove to themselves that they are capable of accomplishing the task at hand. With the proliferation of streaming services such as Netflix, Amazon Prime and Hotstar offering another avenue of unchecked indulgence, the focus has shifted. Dr Manoj Kumar Sharma of the SHUT Clinic said he had seen a marked increase in the number of addiction cases pertaining to the abuse of social media, gaming and video-on-demand. “While addiction among the younger generation, aged between eight and 14 years, continues to be centred on gaming, apps such as Netflix are more for the adults, who find emotional gratification (in the streaming services) as they are under constant stress,’” Dr Sharma added. But experts urge caution with self-diagnosis: Just powering through one season of Game of Thrones or Sacred Games does not qualify you as an addict, they say. Also read: Has Netflix created an entertainment divide in India? Dr Sharma listed three major parameters that should raise a red flag: If the person is pre-occupied with Netflix (or online video streaming apps) or games all day, begins to lose control and is unable to stop despite spending 10 to 12 hours on it, and neglects his/her environment. If you notice these three things in a friend or relative, it is time to seek help. A parent of a gaming addict described him thus: “He would wake up and, instead of brushing his teeth, switch on his computer. The next thing you know is he is using one hand to perform his morning chores and the other to play his favourite Grand Theft Auto. According to Dr Sharma, if a patient is able to log out of a show and exercise control over their emotions, then they have begun their journey towards detox.